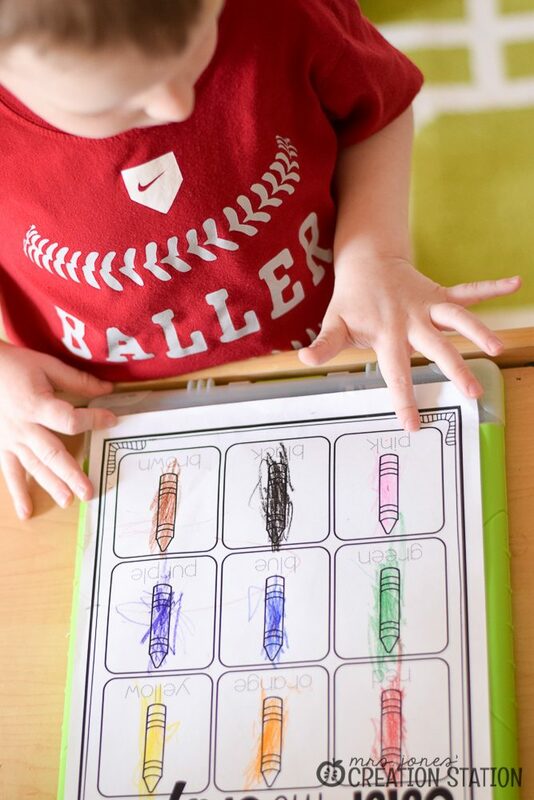 Teaching colors to preschoolers seems like an easy enough task, but so much of it is based on memory. 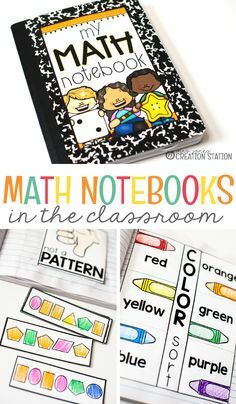 Using color words in everyday conversation is such a simple way to help learners become familiar with their color words. 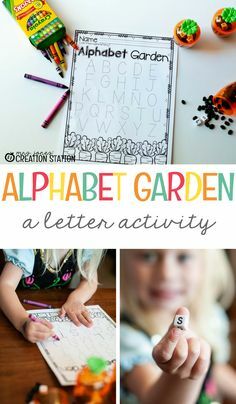 Including fun activities, like this color hunt, in the classroom or at home is a fun way teach colors and coloring for your little ones. 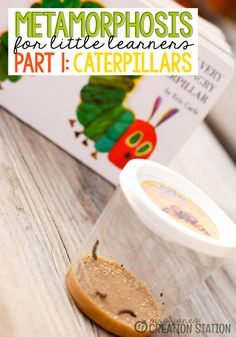 This activity is easy to setup and gets learners up and moving around. I grabbed some sticky tack to put the colors around the room. I was sure to place them in plain sight to help the hunt go smoothly. 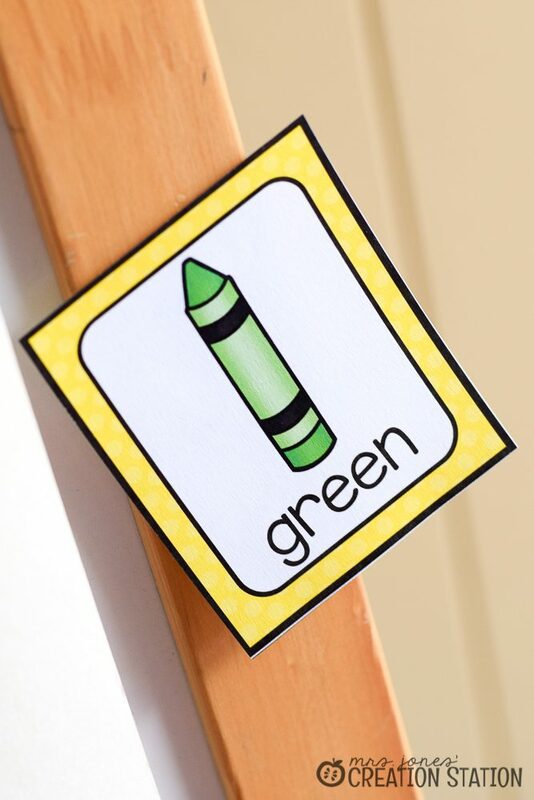 Simplifying the ‘hunt’ made it better for reinforcing color words and the coloring process. 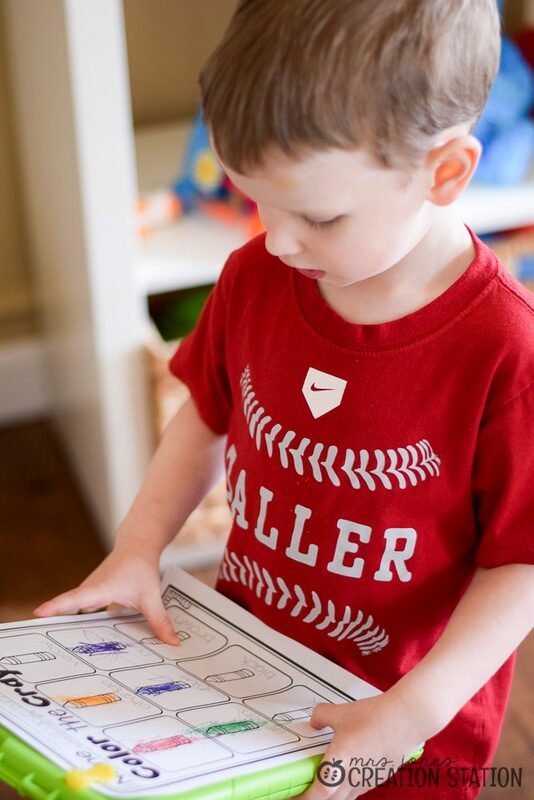 Having an activity that involves walking around the room AND coloring needs preparation. 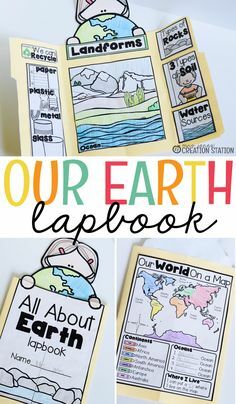 The Color Wonder clipboard is a great resource for these activities. 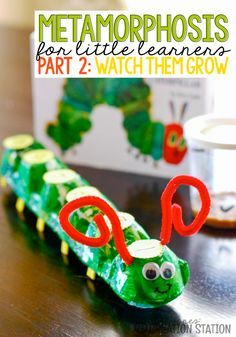 They are sturdy and hold the crayons needed for the hunt. No going back and forth between the color card and crayon box to finish the hunt. 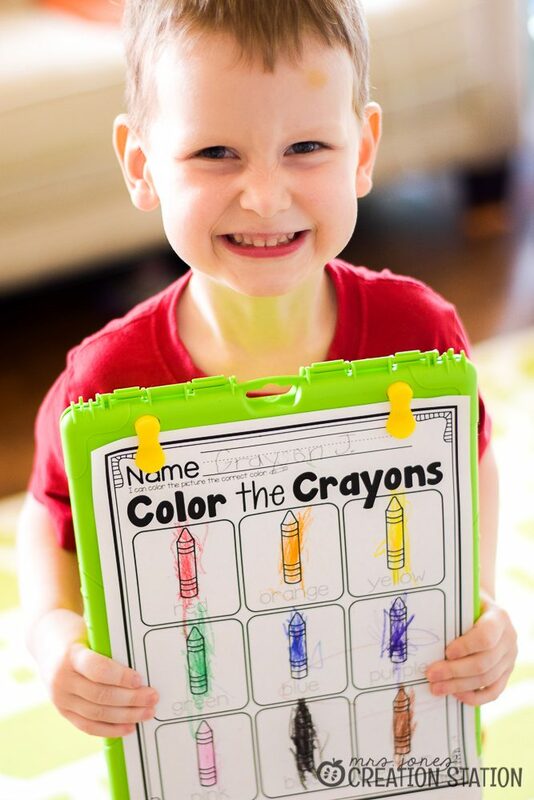 Just open up the clipboard and color the correct crayon. 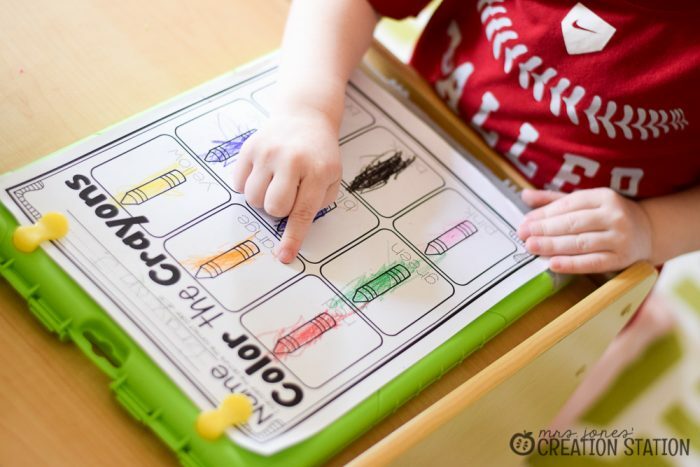 This activity can be used to introduce color words or review colors. We are just learning our color words so we only colored the crayons during the hunt. 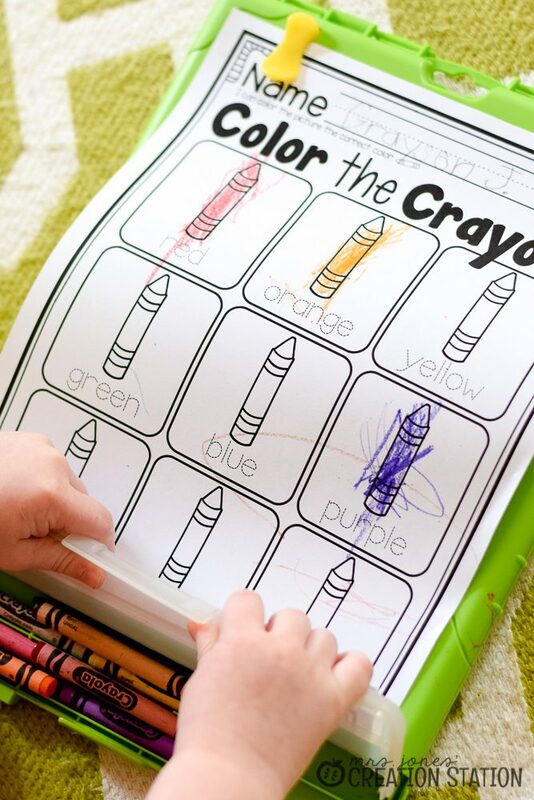 We will go back to our workpage later and trace the color words. 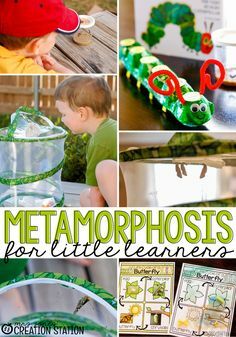 If your learners are ready to trace…go for it! 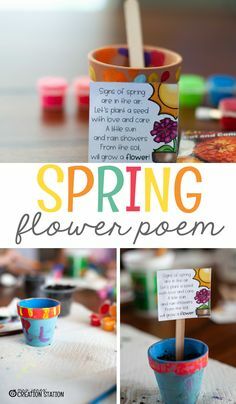 You can get the color word cards and printable for this color hunt activity for free. Download by clicking the MJCS download image at the bottom of this post. 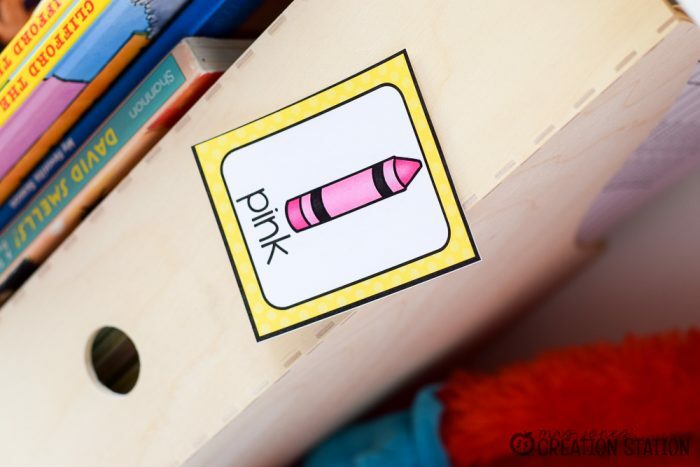 Print an extra copy of the color cards to practice learning colors and color words during circle time or small groups. 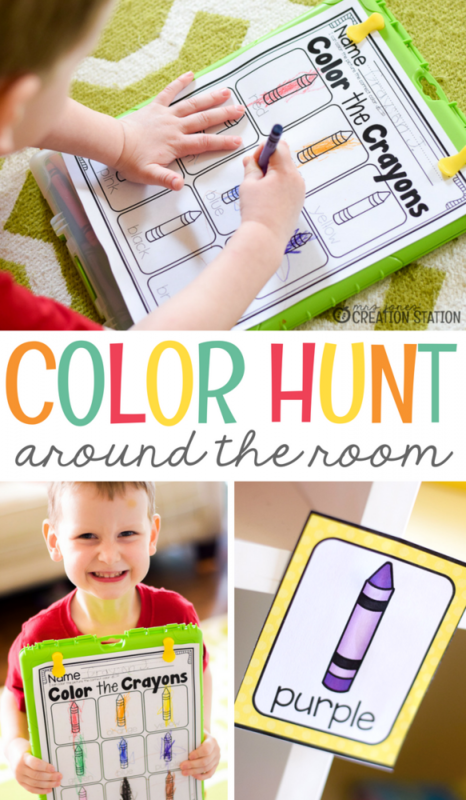 Or grab the Color the Room center on my store from variations of this fun hunt! 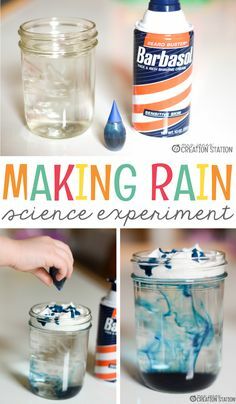 Want more ways to teach or review colors with your learners? 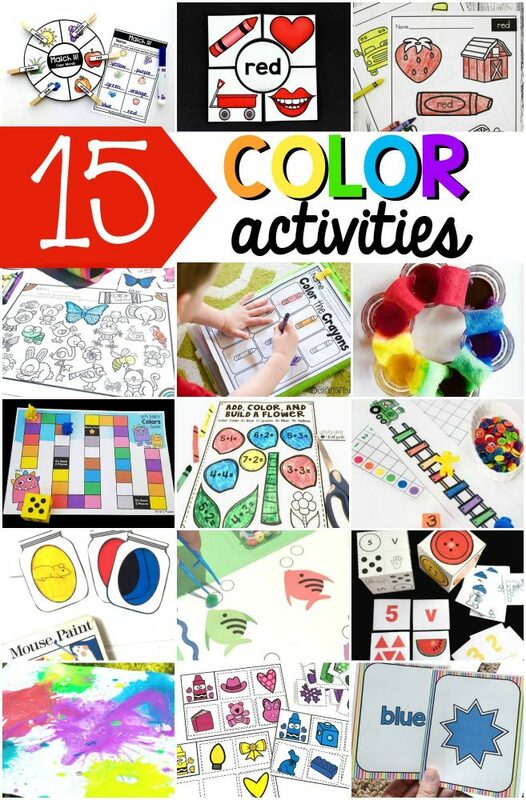 Check out these resources that will be perfect for any color unit. You have the cutest kids! I love that she is your photography assistant! 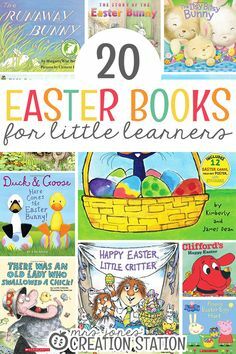 This is a great way to get them ready to "Read the Room." Thank you, Jamie! I truly have the cutest photography assistant around! I am working a creating a Read the Room series and can't wait to add more to it!